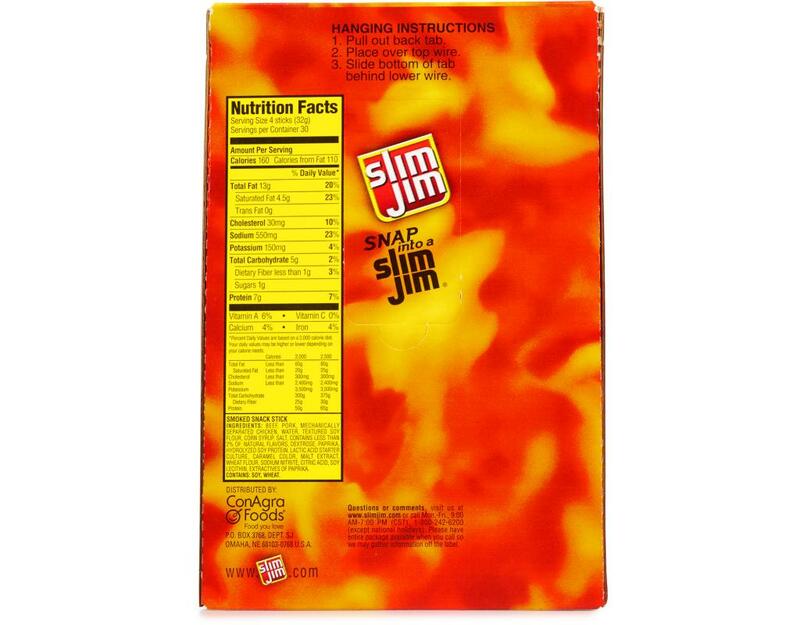 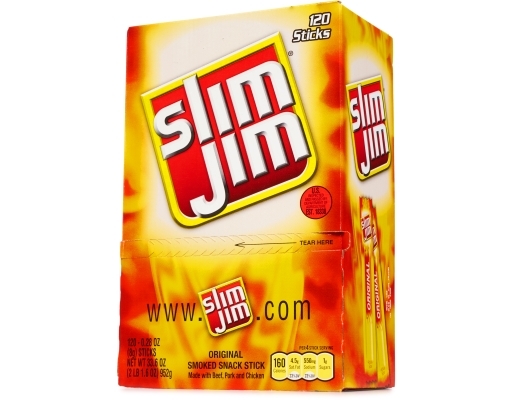 Looking for Slim Jims in bulk? Look no further. Snap into the #1 brand of meat stick. 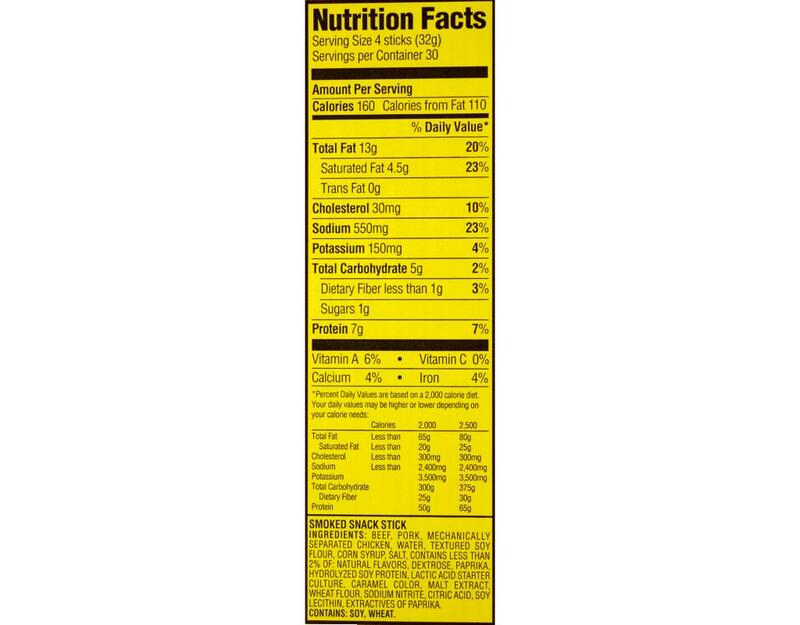 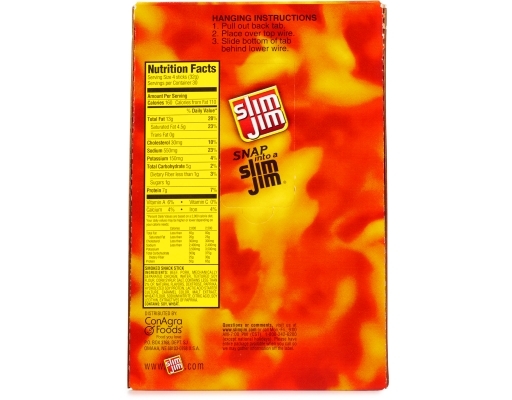 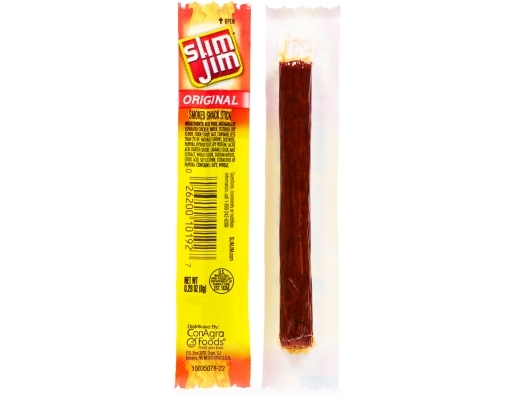 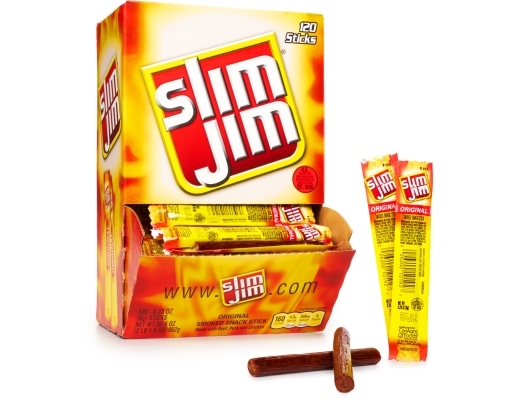 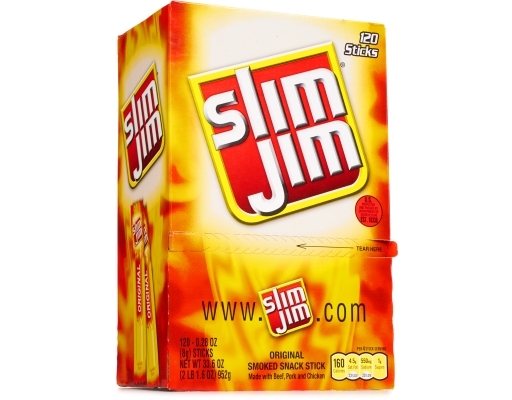 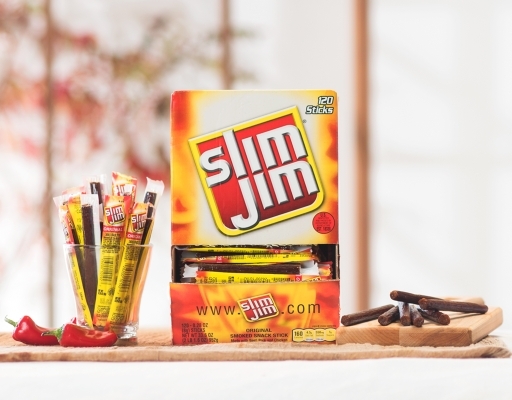 Slim Jim Snack Sticks are a high protein snack that you can eat anytime, anywhere. 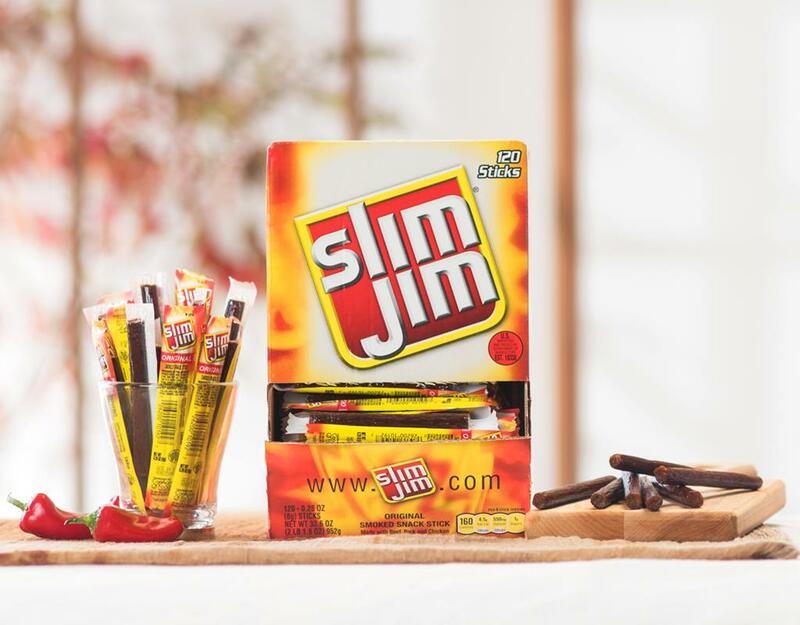 Fuel your best day yet with Slim Jim 120 count. 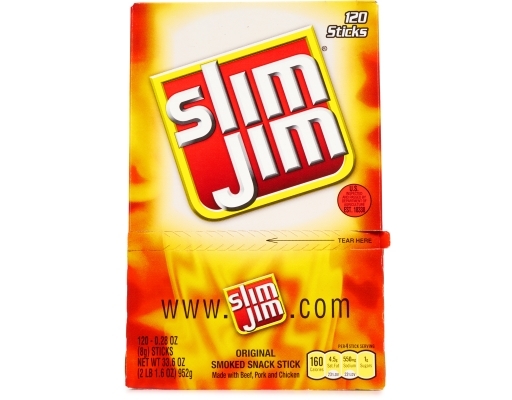 Made in the USA of beef, pork, and chicken, these individually-wrapped meat snacks have a rich, smoky flavor that leave you satisfied.